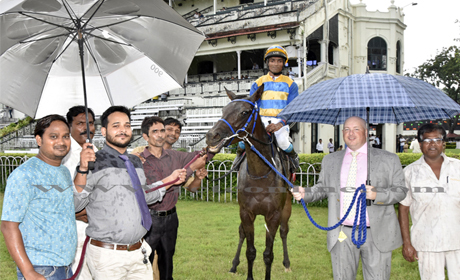 Trainer James McKeown`s filly Exception (Hindu Singh-up), shamed the fellow schooler`s, Vijay Singh`s, dominated five-horse field in Saturday`s feature, the 1,400m Calcutta Fillies Trial Stakes. The least fancied runner in the line-up, won the Stakes far more easily from Vijay`s pair of Cadilla (Nikhil Naidu) and Alyssa (Dashrath Singh) as Venezia (P.S. Chauhan), an ante-post favourite was withdrawn on the race day morning. 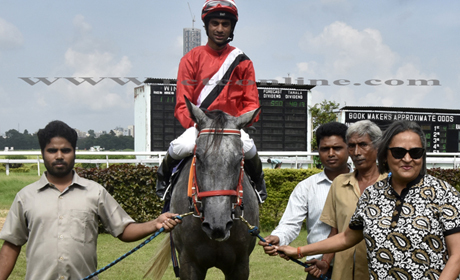 The two fancied runners, Miss Lily (Trevor Patel) and Aashna (Suraj), surprisingly, graced the wrong-end of the filed, after showing some urgency till the final turn. The defeat of the leading youngster was, however, coming. Not only Aashna but most of the leading trainers` babies have been running in-and-out races, right since the early winter. The hard work of James, indeed, paid off while the less is talked about the rest is better. Leave alone the Stakes, a lots of stories about the involvement of some official quarters into the day to day running of the monsoon racing are come to light. 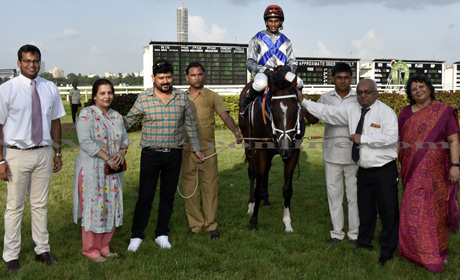 Staring off with the victory of trainer Harvinder Bath, Mrs Willy Nilly (R.S. Bhati), in the day`s opener, the 1,100m Unleashed Handicap, and of Vikash Jaiswal`s El Cid (P.S. Chauhan) was freely advised on the public platforms. The two named horses had form and had also advertised their fitness in previous runs but how the corridors of power need to draw a line somewhere in regards to their likings and disliking. 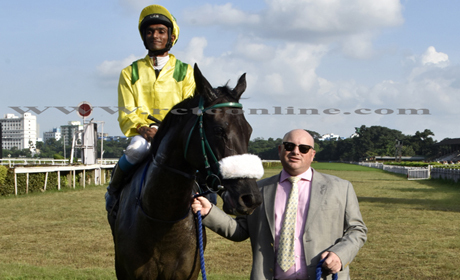 James also claimed the 1,400m Silverina Cup, when the 7/2 fancied runner, Occitain (Hindu) produced an electrifying run to chewed up Vijay`s 6/1 shot, Shivalik Story (Suraj Narredu) who was being hailed as a winner. 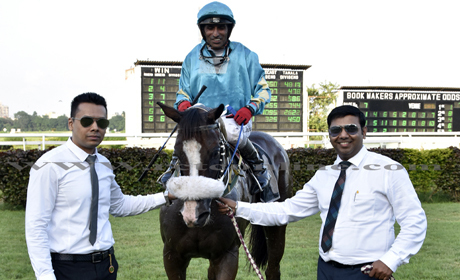 Occitain was in strong contention after his eye-catching runs during the summer season in Bangalore. 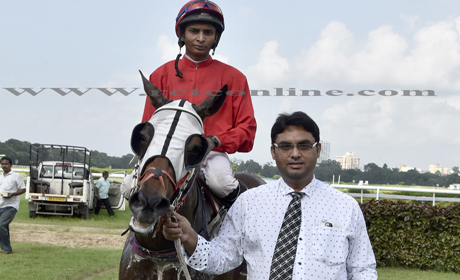 Trainer Raunak Banerji`s too, chipped in with an easy victory of Joss (Nikhil) in the 1,600m Star Perfection Handicap. The 7/1 shot was a promising third in his previous start. Vijay`s Akshya (Suraj) paid the price for running close behind the leaders –Nelson Blood (Hindu) and Joss, instead of coming off the pace; which is the Varenar filly`s natural inclination. The six-year-old Bang Bang (Rupal Singh) took his nine rivals, including the two strongly fancied runners, Javed Khan`s Malana (B. Mahesh) and Arti Doctor`s Shy Belle (C. Alford) by a surprise. Bang Bang was always ran close behind the leaders before Malana and the late finishing walked on the scene. 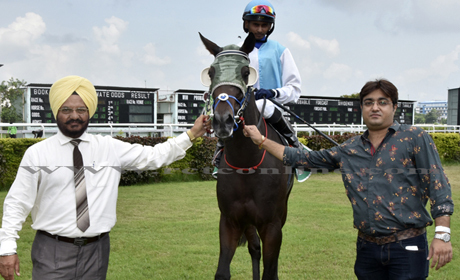 The victory an ideally handicapped, Arti`s Prancing Queen (Trevor Patel) over Manvendra Singh`s Tiberon (Hindu) was on the cards and the two horses fought out the finish with the former coming good by a length.